Is your company one of the best places to work? In one lifetime, the average worker will spend 90,000 hours at work – that’s nearly an eighth of the average American life span – according to data published in Happiness at Work: Maximizing Your Psychological Capital for Success. 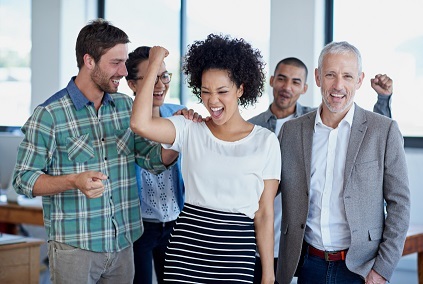 With so much of our time spent in the workplace, fostering an environment that positively affects employees, and one that employees enjoy being in, is critical to the success and productivity of an organization. Therefore, IBA wants to uncover the absolute best workplaces in the insurance industry for our first-ever Top Insurance Workplaces feature. Open to all organizations within the insurance industry, from large national insurers to local retail agencies, Top Insurance Workplaces will recognize companies big and small based on the evaluation of a number of metrics, including culture, benefits, employee development and more. By participating, your company will have the opportunity to be distinguished as a top insurance workplace, solidifying its standing as an insurance employer of choice. To submit your company for consideration, click here. Submissions close May 11.